Beaumont Presbyterian Church was founded in 1959. Centrally located in Lexington, Kentucky, inside New Circle, we are an open and welcoming community, gathering to worship, study, and engage in interesting conversation, laughter, consolation and prayer. We go out into the world to serve God’s people in mission, striving to serve as Jesus did. We gather in a setting that is both casual and traditional. Come as you are, whoever you are! We believe in a loving God who cares for all of us and all of creation. And so we include, honor and welcome all people, all races, all faith traditions, all gender identities, those who love the church and those who have been hurt by it, folks baptized and unbaptized: ALL. We believe that we find our way to God, not by any works on our part, but by faith alone, through God’s grace. We believe that Jesus Christ is the revelation of God’s love for the world. We believe that the Holy Spirit, the embodiment of God’s love and Christ’s healing power, moves among us always. Presbyterians form a “big tent” denomination, where there is room for a variety of views, beliefs and ways to understand God. We believe that “God alone is Lord of the conscience…” and so we have no church hierarchy that dictates our beliefs. We believe that Christ calls us together to live in community, the Church, of which Christ is the head and we as members are the body. The Bible is our primary source of authority, and we look to our creeds and confessions for further guidance. Yet it is not in them that we believe, but in the God to whom they attest. And so we honor other ways in which we come to know God, including human reason and experience. We worship the God who first chose us and is revealed to us in Jesus Christ who lived, taught, died, and rose for us that we might belong to God and serve Christ in the world. Following Jesus, Presbyterians are engaged in the world and in seeking thoughtful solutions to the challenges of our time. Presbyterians affirm that God comes to us with grace and love, as seen in the witness of the Old and New Testaments. We rejoice in the life and ministry of Jesus Christ, who promised eternal and abundant life and comfort in times of sorrow and loss. We seek to continue Jesus’ mission of teaching the truth, feeding the hungry, healing the broken, and welcoming strangers. We trust that our efforts are supported by the Holy Spirit, who dwells within and among us, giving us the energy, intelligence, imagination, and love to be Christ’s faithful disciples in the world. More than two million people call the PC(USA) their spiritual home. Worshiping in 10,000 Presbyterian congregations throughout the United States, they engage the communities in which they live and serve with God’s love. Our Constitution is composed of our Book of Order, which in addition to guidelines on polity (governance), also gives us a Directory for Worship and guidance on other church matters. A Book of Confessions constitutes the second part of our constitution. It includes ancient creeds, such as the Apostles’ Creed, as well as confessions that were formed during the Reformation years, World War II and the Vietnam Era, continuing to the present day. 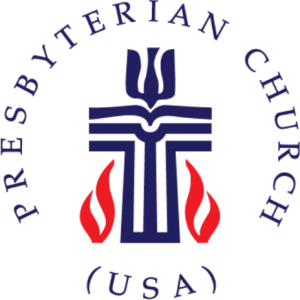 Beaumont Presbyterian Church is affiliated with the Presbyterian Church (USA). 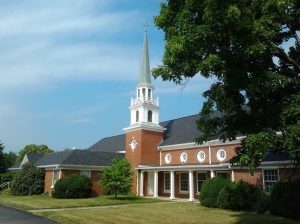 We also are members of Transylvania Presbytery, along with roughly 90 churches east of Lexington, from the Ohio River to the Virginia/Tennessee border. We are a “connectional” church, meaning that we connect with other Presbyterian congregations locally, regionally and nationally.